Announcing a brand new addition to the Sinn EZM Series of watches - the Sinn EZM 7 Firefighter on silicone rubber strap with deployant buckle. 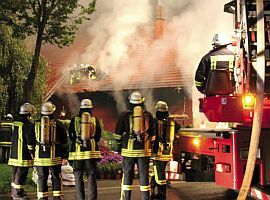 The Mission Timer (EZM) 7 with its color-coded bezel is easy to operate, making it simple for personnel using breathing protection apparatus to set and read off the relevant durations – from CSA to LPA. 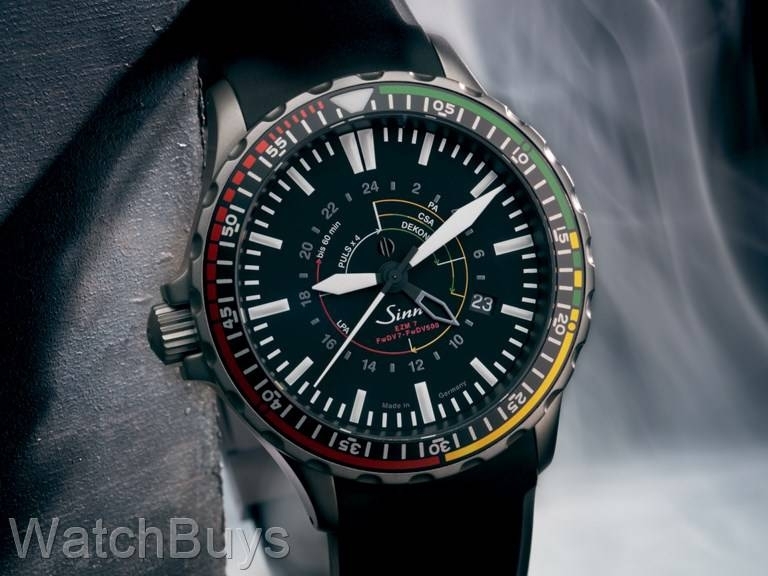 The Sinn EZM 7 Firefighter has been designed for use in the most difficult conditions – it is especially resilient to the penetration of water and dust, to scratches, changes of temperature and the influence of magnetic forces. The case is fully Tegimented, and features a surface hardness of 1200 Vickers. Watch is water resistant to 20 ATM. There is also a functional requirement in that the watch must be highly legible and the controls must be both accessible and easy to use in extreme environments. 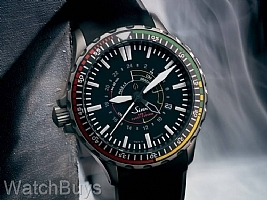 This watch takes its place as the new Sinn EZM 7, and you'll notice that the crown has been relocated to the left side of the case as is typical for EZM watches. Redesigning the watch so that the controls are on the left improves access to those controls during special operations as well as lessens the chance that they will be snagged on the special gear often worn on those missions. This watch ships with a silicone rubber strap with double push deployant buckle and fliplock safety clasp. "A must have for the EZM4 owner...."
Verified Owner Comments: Those of you who own or have owned the EZM4 will agree that while it does not appeal to all, there is no other watch out there that is as unique and distinctive. Those who know will be able to identify it immediately and those who do not will be intrigued by it. At least personally I have had the most comments about my EZM4 as with the new EZM7. This new watch carries on it's distinctive DNA and is far more impressive in on your wrist than in pictures. Destined to follow the footsteps of the EZM4 in the eyes of the collector.